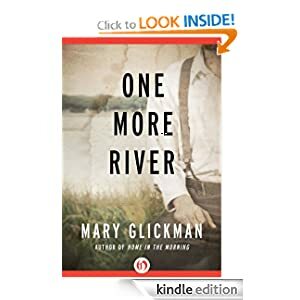 Today Amazon offer to buy a very good book with great discount: “One More River” written by Mary Glickman just for $1.99 (instead of $11.69 yesterday). This book is the sweeping story of a father and son, and of the loves that transform them amid the turbulence of the American South. Bernard Levy was always a mystery to the community of Guilford, Mississippi. He was even more of a mystery to his son, Mickey Moe, who was just four years old when his father died in World War II. Now it’s 1962 and Mickey Moe is a grown man, who must prove his pedigree to the disapproving parents of his girlfriend, Laura Anne Needleman, to win her hand in marriage. With only a few decades-old leads to go on, Mickey Moe sets out to uncover his father’s murky past, from his travels up and down the length of the Mississippi River to his heartrending adventures during the Great Flood of 1927. Mickey Moe’s journey, taken at the dawn of the civil rights era, leads him deep into the backwoods of Mississippi and Tennessee, where he meets with danger and unexpected revelations at every turn. As the greatest challenge of his life unfolds, he will finally discover the gripping details of his father’s life—one filled with loyalty, tragedy, and heroism in the face of great cruelty from man and nature alike. A captivating follow-up to Mary Glickman’s bestselling Home in the Morning, One More River tells the epic tale of ordinary men caught in the grip of calamity, and inspired to extraordinary acts in the name of love. Feeling a tad stressed? Need a little more artistic beauty in your life? Gravilux is a gorgeous, very Zen-like app for Android that will both entertain and soothe you whenever you use it. Gravilux lets you touch a universe of simulated stars beneath your fingertips, exerting a gravitation-like force to twist them into an infinite variety of colorful new galactic forms. Just launch the app and start moving your finger across the screen. 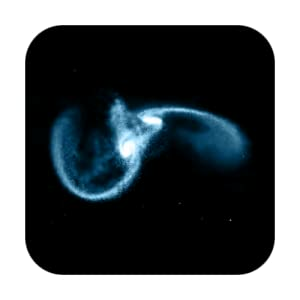 The stars will react, moving in slow waves and forming amazing shapes and fascinating effects. As these pinpoints of light float across the screen of your smartphone or Kindle Fire, you’ll be overcome with sense of peace and serenity. Gravilux combines elements of painting, animation, art, science, and gaming. Before it became a mobile app, this kind of interactive art was only found in galleries and museums. Now it’s right on your Android, available to you anytime and anywhere. The app gives you many options to tune to your liking. Start out by selecting classic black and white or vibrant color. In the color setting, you have a veritable rainbow of shades from which to choose. Hit the Settings button and you can choose an attract or repel effect, adjust the brightness, determine the spacing of the stars, and more. You can also touch the Optimize option and Gravilux will adjust itself to your particular device. The app is specifically designed for your Amazon Kindle Fire, so you’ll enjoy an incredible experience with Gravilux on that device. Hugely popular as an iPad app, Gravilux was created by Scott Snibbe Studio, a leader in the development of digital applications. You’ll want to reserve a prominent space on your home screen for this enchanting work of art for your Android. This entry was posted in Kindle Applications, Kindle Apps, Kindle Books, Kindle Daily Deal, Uncategorized and tagged Gravilux, Mary Glickman, One More River by Paul. Bookmark the permalink.